The firm developed the practice due to increased demand for integrated comms services from the energy sector. NEW YORK: Hotwire has launched a global practice focused on energy, environment, and sustainability, the firm said on Wednesday. Stephanie Kays, a San Francisco-based senior director, is leading the practice in the U.S. along with Jason Brown, a senior director located in New York. Imogen Nation, London-based program director and energy lead, is heading the practice in the U.K.
Hotwire decided to launch the practice after seeing increased demand for integrated comms from the energy sector due to increasing competition and regulation. "When we were taking a look at our plans for this year and our 2020 Initiative, we were looking at putting in place practice areas that can meet the needs of the CMOs we work with," said Hotwire North American president Heather Kernahan. "We recognized we hadn’t formalized an [energy, environment, and sustainability] practice." Kernahan added that Hotwire’s new practice is offering clients integrated programs that include branding, demand generation, media relations, and analyst relations. Its energy team includes specialists in strategic communications, messaging, PR, brand, design, social, and public affairs. Hotwire’s sister public affairs agency, Political Intelligence, led by Nick Lansman, will play a prominent role in the new practice. The group is working with clients including Trane, AutoGrid, Eaton, and Cupertino Electric. "We are really proud to work in this area," Kernahan added. "A couple of months ago, we launched our social impact practice. Not only are we now working with clients where we have an aligned value set, which is great for our staff, we are also working with clients who are doing big things in the world." 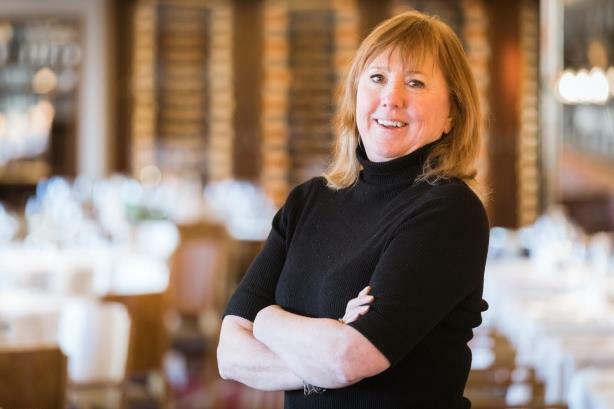 Hotwire named John Mahoney as its first chief client officer in October, and appointed Barbara Bates as CEO in May, seven months after acquiring her firm, Eastwick Communications. In early October, former Hotwire CEO Brendon Craigie launched science and technology PR agency Tyto with Ellen Raphael, former director of the science education charity Sense About Science. SVP and GM Rebecca Honeyman and SVP Greg Mondshein left Hotwire in September to launch SourceCode Communications. Hotwire posted $37.1 million in 2016 revenue, up 35% from the prior year.